According to a recent article from the LA Times, California Highway Patrol (CHP) officers were responding to a suspected drunk driving related car accident when the suspect allegedly stole their police vehicle. Authorities say they responded to a report of a crash on Interstate 15. The driver of a Ford Focus had allegedly crashed into a truck’s trailer at what they estimate was a very high rate of speed. After arriving on scene, a responding trooper called a tow truck. A trooper handcuffed defendant and put him in the right front passenger seat of the police car. It is actually a common practice to place a suspect in the front seat if the vehicle does not have a transport cage in the rear. Authorities will typically call for a transport vehicle to take suspects to the station. While troopers were speaking with the tow truck operator, defendant apparently was able to put his legs through his arms, getting his cuffed hands to the front of his body. He then allegedly fled the scene of the drunk driving car accident in the police car. When officers saw this, they jumped in the tow truck and told the driver to follow their police cruiser. At this point, suspect is said to have left the highway at the next exit and turned down a dirt road before slamming into a boulder. The driver then exited the cruiser and fled on foot into an area of heavy brush. Law enforcement dispatched an air unit to locate suspect, who was quickly found and taken into custody without any further trouble. Prosecutors charged suspect with drunk driving, resisting arrest, and auto theft. It should be noted nobody was reported as being injured in the initial drunk driving car accident or the alleged car chase involving a stolen trooper car. As our Boston drunk driving accident attorneys can explain, if an accident had occurred during the police chase, this would have created a situation where there are multiple defendants. There is essentially no question drunk driver would be liable for any accident he caused during the chase, but what about the troopers? Whether the agency would be liable for allowing a situation in which a suspect could steal an official car deals with an area of law involving superseding or intervening causation. 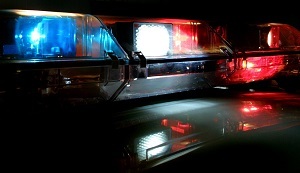 While the stealing of a law enforcement car is an unexpected event, the question would be whether troopers in this hypothetical acted in such a way, or failed to act in such a way, making a car accident and personal injury likely to occur. If troopers were trained not to put someone if the front of their car, with keys in the ignition, and did so anyway, they could be liable for a personal injury caused by a drunk driving car accident. Even if the troopers acted according to their training, if they had been aware or should have been aware of a similar incident occurring the past, they could be liable under a theory of negligence for any injuries caused during the car chase.